Motorcycles with a short wheelbase and an aggressive steering geometry provides the ability to make very quick changes in direction. As a side-effect it the bike is less stable, gives less feedback from uneven road surfaces, and is more difficult to control. If the front wheel is not completely inline from the direction of travel when it touches down after a small wheelie, it may cause an unwanted wobble. Steering dampers are factory installed on more and more high-end motorcycles, not only sport, but also naked and big all-roads. This is to counter these undesirable behaviour. 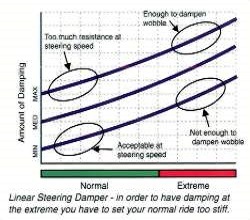 Steering dampers offer comfort and safety. ...and Hyperpro offers the best! 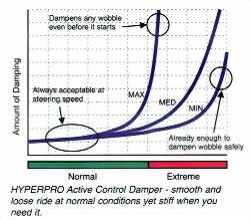 A Hyperpro steering damper reduces this kind of risk to a bare minimum. These wobbles - Tank-slappers - and vibrations are intercepted by the damper. As a result, you have a bike that steers the way you want and reacts the way you’d hope for in unexpected circumstances. 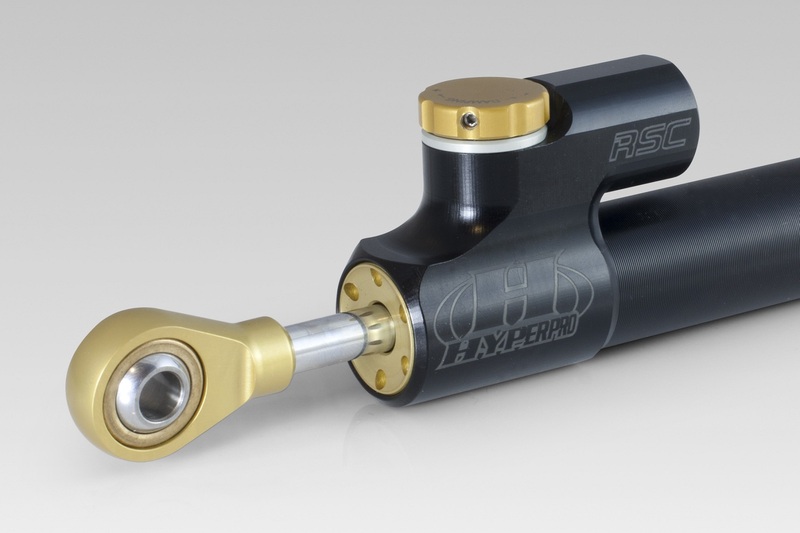 The Hyperpro Steering Damper program is divided into 2 levels; the CSC (Constant Safety Control) steering damper and the RSC (Reactive Safety Control) steering damper. Both steering damper types are made with the highest precision to guarantee the quality and functioning of the steering damper. 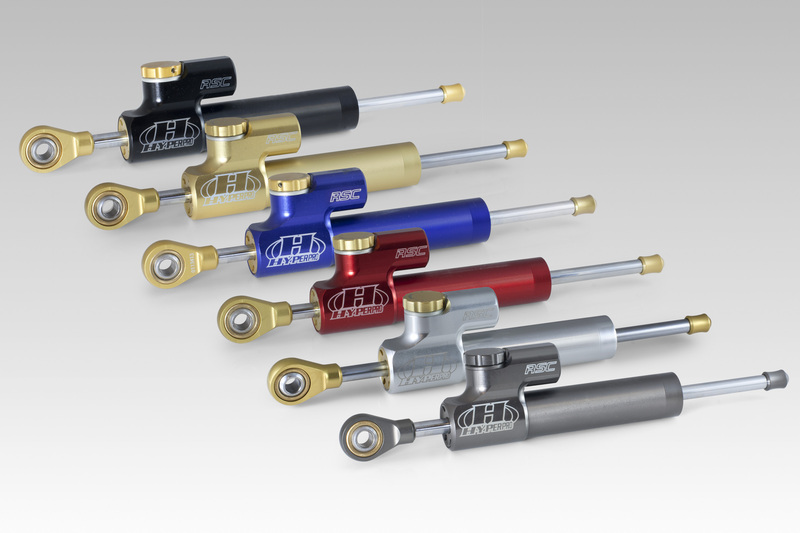 This is one of the top products in the range of “regular” steering dampers. It is a linear damping steering damper with 22 clicks for fine tuning. It gives the rider comfort in riding, and the assurance of not getting knocked off by the quick steering movements of the bike. 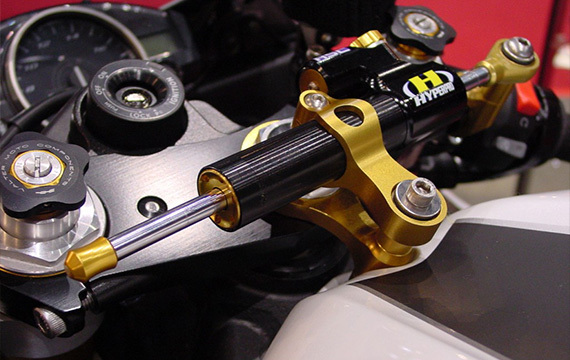 Hyperpro develops mounting kits to mount a steering damper to the bike. Plug and play, so in 98% of the applications it is possible to mount the kit without drilling or cutting in the motorcycle. We prefer to design a mounting kit in the toptank position, so it is possible to see the steering damper and makes it more easy to adjust. Mounting kits are available in the colors Hyperpro Gold or Black. 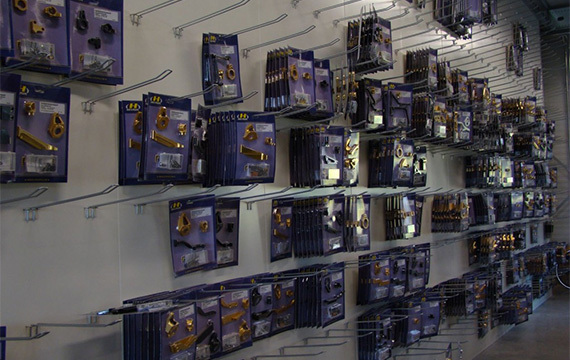 If your bike is not in our application list, a wide range of clamps and brackets are available to mount onto the bike yourself. 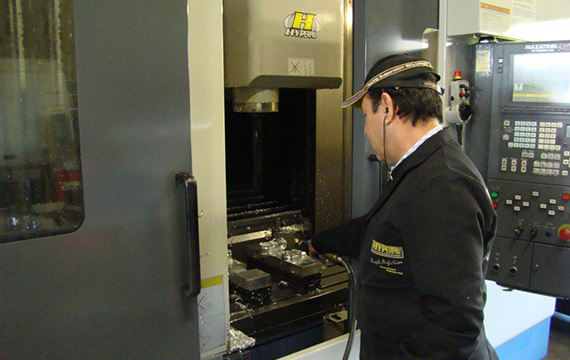 All parts are developed, designed, manufactured and assembled in our own factory!